It’s time you stopped buying that salmonella pudding trap they call “mayo”. Do yourself a favor and make this Creamy Rich Cashew Mayo. It’s healthy, egg-free, low-fat, super easy, and delicious. You deserve better and so does your sandwich. Cashews make a great mayo. Why? Because they’re neutral in flavor and have an awesome texture after you soak and blend them. Thick, rich, and creamy! This recipe is amazingly SIMPLE! 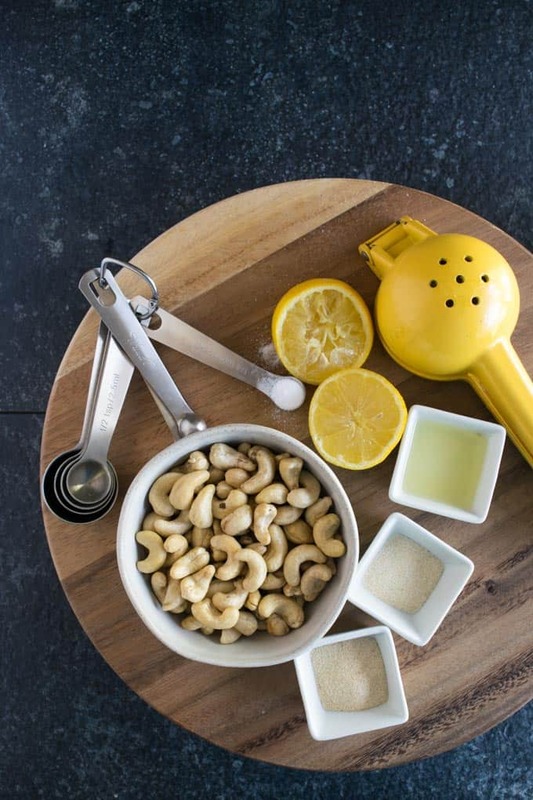 Soak some cashews, toss them in a blender with the spices, and blend until smooth. That’s it. Plant-based or meat-eater, sauces are what make sandwiches. And, a sandwich is not a sandwich without some type of mayo on it. So, why not make a mayo that’s healthy and can be slathered with reckless abandon? One way to try it out would be on my Potato Chip Tomato Sandwich. Pretty amazing! You will love this mayo? It’s creamy, rich, tangy, thick, simple to make, and absolutely delicious! And, if you do make this recipe I want to know. So, please leave a comment below with a star rating. And, be sure and share a picture on Instagram with the hashtag #shaneandsimple. I want to see your work. Enjoy! 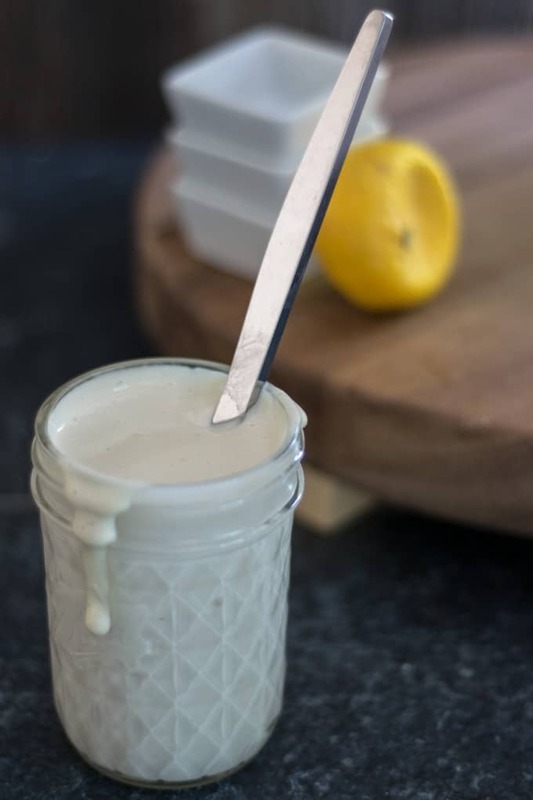 A much healthier alternative to regular mayo. This cashew mayo is creamy, rich, tangy, delicious and easy to make. 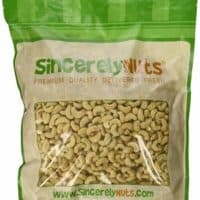 Soak cashews in hot water for 30 minutes. 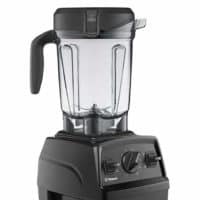 If you have a high-speed blender, like a Vitamix, soaking is optional. But, it will make the mayo that much creamier. 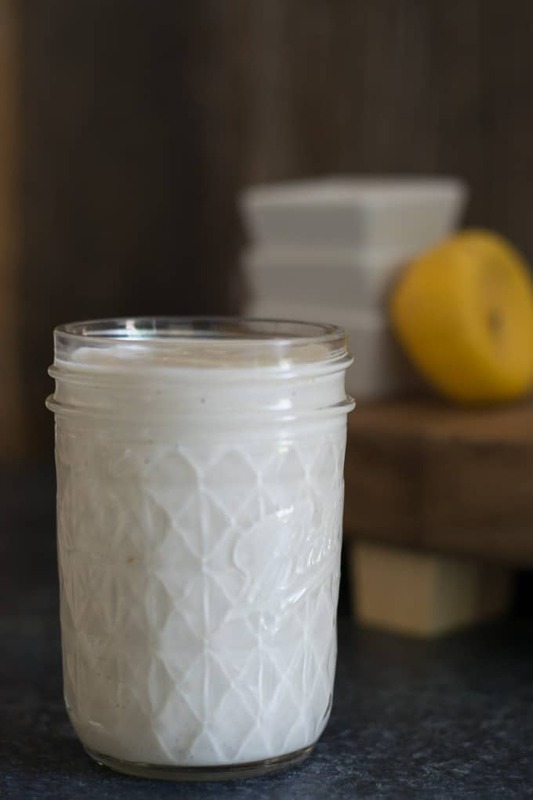 Add cashews along with all other ingredients to blender and process until smooth and creamy. Stop and taste test: adding more apple cider vinegar for tanginess; lemon juice for acidity; salt for saltiness; and more water if you want it not so thick. Blend once more after making final adjustments. Pour into a jar or container and store fridge until ready to use. It will keep for several days. *Add a chipotle pepper in adobo sauce during the blending and it makes a great aioli. *If you have a nut allergy, use a 12 ounce box of firm or extra firm silken tofu. Wow! So happy to have found this. Thanks! This is really good! I kept it on the thick side and used it to dip pretzels and veggies. I would like to try this recipe with Macadamia Nuts as they also have a very mild nutty taste…. Thanks, Nancy! And, would love to hear how it turns out. I made this using extra firm silk tofu and did not need to add any water. It is delicious! Sounds awesome!!! Thanks for sharing. Made it tonight and used it to make a healthier version of chicken salad. It was very good, thanks!